Breakfast that day had been some porridge, made my usual way with just oats and water - no sugar, no milk, nothing extra. I did use a bit more water than usual though, which made for a creamier porridge, which I rather liked! What beautiful meat! LOL! That sounds so funny to type. The carvery looks great! As for the porridge, I think I'll pass! Not sure how you eat it like you do - sorry! 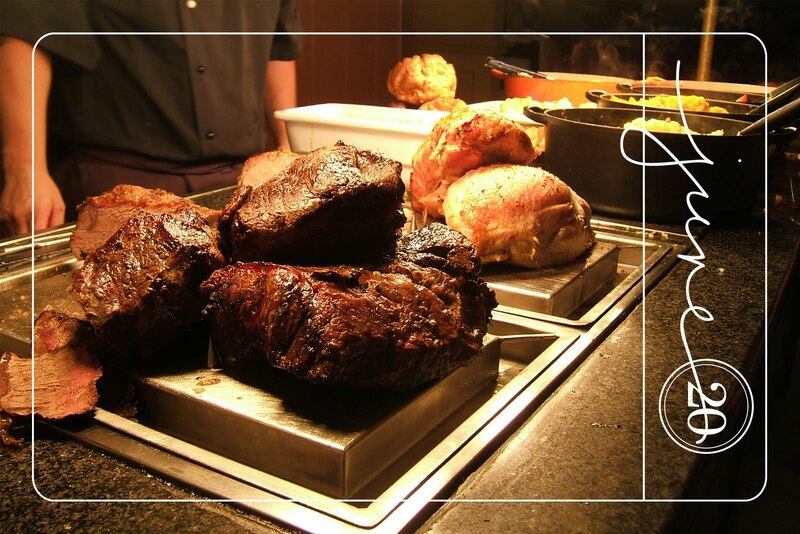 Great shot of the carvery Mel! Roast beef and crispy yorkshires ... oh yum! Porridge? Not so keen! Food looks great. Have a great day. The carvery is probably my favourite meal out. All you can eat roast potatoes? What could be better?! Great shot of the carvery! That's just how I make my porridge too...but then I stir in a teaspoon of Manuka honey!!! I think you defintely should have a sideline in food photography!! That hunk of meat looks delicious!